Please hold. 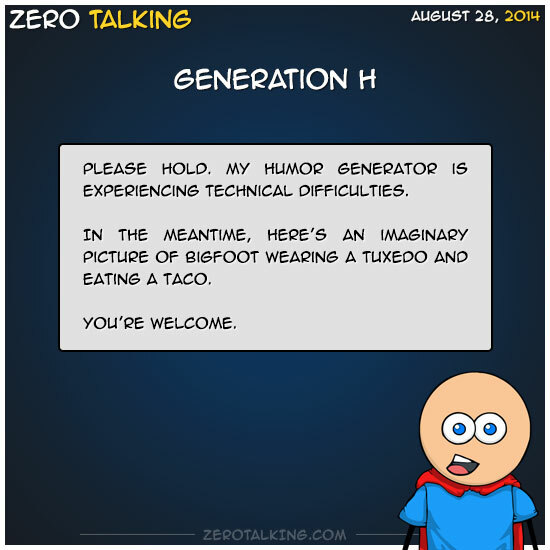 My humor generator is experiencing technical difficulties. In the meantime, here’s an imaginary picture of Bigfoot wearing a tuxedo and eating a taco.